Paatwadi (or Patwadi) is a Kolhapuri savoury snack made using gram flour. Popular during Ganesh Chaturthi and other festivals, they are a great evening/teatime snack. Best served with mint chutney. 1. Dry roast the cumin seeds and grind together with the green chillies to a smooth paste. 3. Add the asafoetida, turmeric powder, ginger garlic paste, chilli paste and stir-fry for 2 to 3 minutes. 4. Pour 2 cups of water and add salt. 5. Reduce the heat to low when the water starts to boil. 6. Add the gram flour and stir well to make a smooth paste, without any lumps. 8. Stir well and cover again. 9. After 8 to 10 minutes, remove and transfer to a plate. 10. Spread it evenly and sprinkle coriander leaves on top. 11. Cut into desired shapes after 10 to 20 minutes. 12. 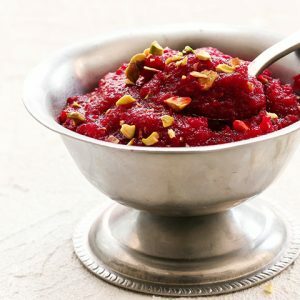 Serve with mint chutney or ketchup. 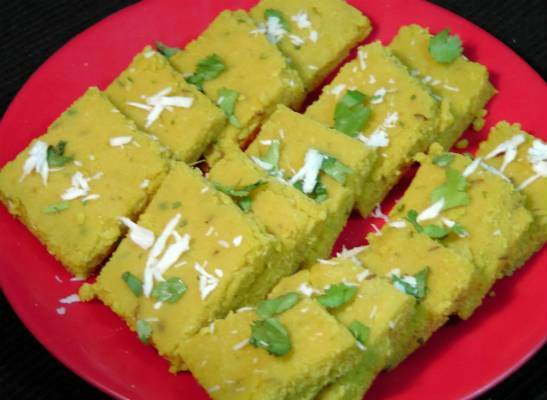 Feel free to comment or share your thoughts on this Paatwadi Recipe from Awesome Cuisine.